A King of the Forest exclusive. Family owned and operated located in the Upper Peninsula of Michigan . 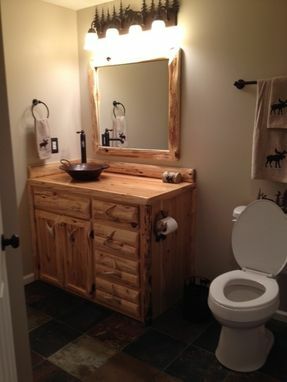 Our handcrafted log bathroom vanities are created using local rustic Northern White cedar logs. 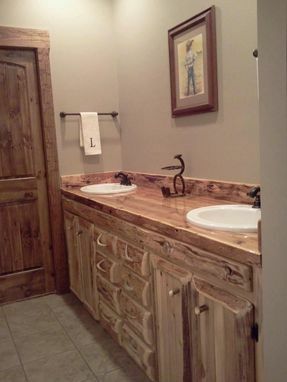 Our vanities are made to order and are offered in the industry standard sizes or we will build it to your specifications at no additional charge. 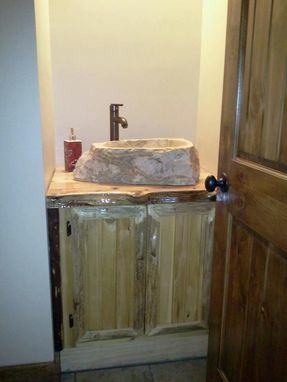 The liquid glass finish completes the top of this vanity. 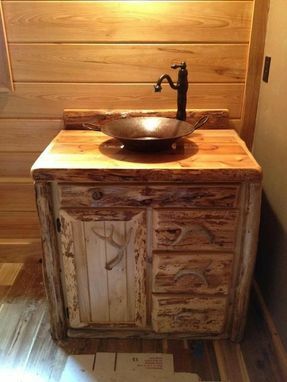 The varnish finish on the base enhances the natural beauty of the wood, with its coloration, knots and generally unique character. 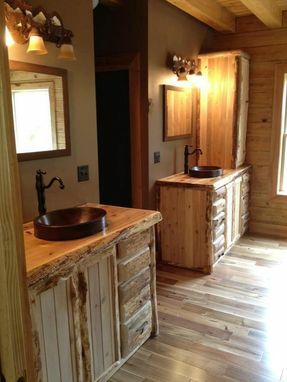 This vanity is made to order and will ship from our workshop in 4-6 weeks. 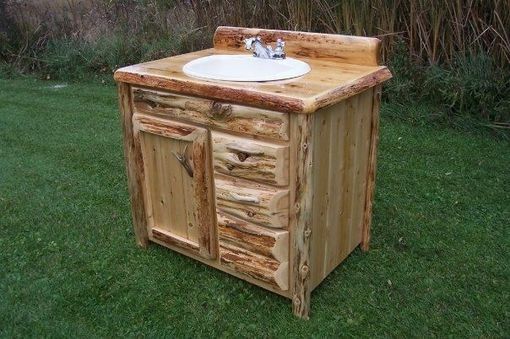 Sink and faucet sold seperately.